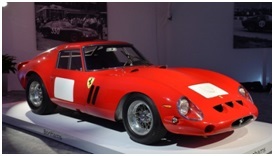 This sports car was sold at Bonham's Quail Auction on August 14, 2014 to US communications magnate Craig McCaw. 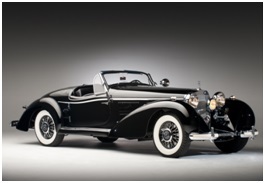 The famous & unique car from the past was put up on an unreserved auction where it could have also been sold at $1. Ferrari only built only 39 of these racer cars and all were sold on the blink of an eye soon after the bookings open. The car features a 5 speed manual transmission. 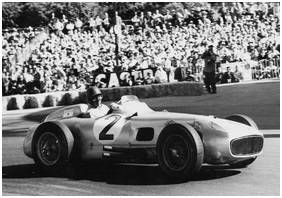 The Mercedes-Benz W196 was a Formula One racing car, sold for a whopping amount of $29,975,742 on July 12, 2013 at Bonhams, England. The car was produced by company for only 1 year specially dedicated to Formula 1 racing. The car won 9 of 12 races entered and captured the only two world championships in which it competed. The racer featured a supercharged 1.5-litre 64.0×58.0 mm V8 that produced 278 BHP at 8,250 rpm with about 2.7 atm pressure. 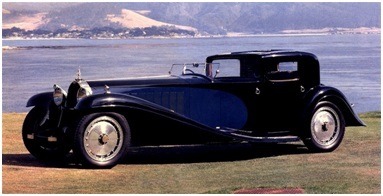 Kellner is the fifth luxury car built under Bugatti Type 41 or Royale category. Royales are20% longer and more than 25% heavier than Rolls Royce Phantom. The car was built exclusively for a period of six years only & were reserved for only 25 piece which were meant to be sold to the European Royalty. The engine was built from a single block & is one of the largest engine ever built. 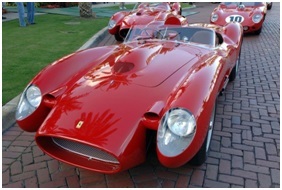 The Ferrari TR, or 250 Testa Rossa, is a race car model designed by Scaglietti. The phrase "Testa Rossa" means "red head." It was sold at Gooding & company on August 21, 2011. The cars dominated their competitors, with variations winning 10 World Sports Car Championship races. The racer came with a 3.0 liter engine & power of 223.7 kw / 300.0 bhp @ 7200 rpm. Introduced at the 1936 Paris Motor Show, the Friedrich Geiger designed car was a development to the 500K, itself a development of the SSK. It was one of the largest cars of the time, with 5,401 straight - 8 engine and 4- speed or optional 5- speed manual transmission. While all these super racers attracted huge money at their auction. Shriram Automall in India offers the most exciting bid catching event to buy or sell pre-owned vehicles & equipment of all segments including used commercial vehicles, construction equipment, agricultural equipment, two & three wheelers. Shriram Automall – India’s largest service provider for exchange of used vehicles & construction equipment has a strong presence all over the country, currently the company operate through 56 well structured Automalls ranging from National highways to even remotest corners. Talking about the Tier 2 & Tier 3 cities we are planning to expand in cities like Agra, Aligarh, Coimbatore, Dhanbad, Mangalore, Nagpur, Nashik & Solahpur, where people from these locations will get benefit through our professional services. 60 inaugurated Automalls is the number the company aims to achieve by the end of FY 15-16 & 70 by the end of FY 2016-17, in both Tier-II & Tier-III cities the strong presence with top performing Automalls like like Trichy, Madurai, Pondicherry, Salem, Tirunelveli, Coimbatore, Vijayawada, Warangal, Visakhapatnam, Hubli, Nellore, Patancheru and Rajahmundry generates majority of the business. 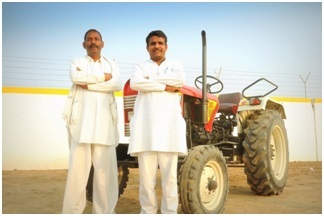 We see a good demand for Agricultural Equipment, Passenger Vehicles & Two Wheelers in these cities. When we talk about cities of different tiers we find huge difference in the mentality of customers. Talking about the customers from metro cities, these people are relatively easier to convince & persuade. They don’t come with a specific vehicle requirement in mind & can opt for other vehicle options in case of unavailability of a specific model. They prefer to communicate in English & takes less time in making a buying decision. Mostly we see they demand for used PVs, Fleet of Trucks etc. On the other hand the customers from the tier 2 & tier 3 cities are more rigid on the choice of vehicle they want, they prefers to communicate in their regional language, takes time in deciding the vehicle of their choice. They consider price as one of the most important factor before buying a vehicle. Majority of vehicles they demand are tractors & Passenger vehicles. Shriram Automall aims to strengthen its presence in these areas through our upcoming Automalls in cities like Agra, Aligarh, Coimbatore, Dhanbad, Mangalore, Nagpur, Nashik & Solahpur, where people from these locations will get benefit through our professional services. Automobiles like bikes, cars, scooters, public transport, and auto rickshaw will now cost more in Maharashtra as the government has proposed to hike the Motor vehicle tax on all vehicles in order to fight one of the worst draughts in the state’s history. Under the revised system of tax, private vehicles of up-to 99cc will have 8 per cent tax, those between 100cc and 299cc 9 percent while the ones above 300cc will be taxed 10 per cent. In case of a company or any undertaking the vehicles will attract just the double of the new proposed tax. For example a company vehicle above 300cc will attract a tax rate of 20 per cent now. The state will continue to tax more on petrol & diesel due to draught in state & aims to earn overall net additional revenue of Rs. 363 Cr. With the rise in the tax structure for new automobiles we will see a positive incline of people to buy used automobiles in order to save them from paying the extra amount. The ratio between new & used vehicle ratio has always been 1:1 most of the times, however with these changes in tax we can expect the ratio to change & used vehicle segment to attract more buyers. If you are looking to buy a usedvehicle in Maharashtra than Shriram Automall is the right place to come. The company offers widest range of all used vehicles & equipment including construction equipment, commercial vehicles, agricultural equipment, passenger cars and two & three wheelers. You can visit the companies Panvel, Aurangabad, Chandrapur and Mumbai Automall to buy the best used vehicles easily. 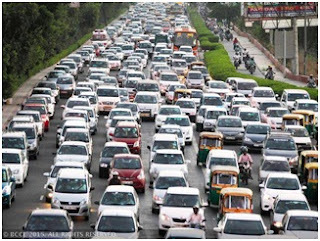 Society of Indian Automobile Manufacturers the most elite body of the Indian vehicle industry has cut down the growth rate in its forecast for both current & FY 2016-17. The society has earlier forecasted that the passenger vehicle has will grow at 8% this year & 12% in FY 2016-17. However as per its recent update it cut down the growth in this fiscal to 6-8% & FY 2016-17 to 11%. "Although we had forecast initially in the beginning of this fiscal that we expect growth of PVs to be 6-8 per cent, we have increased it to around 10 per cent when sales picked up during the year. Now due to the infrastructure cess we are revising it back to 6-8 per cent," Siam Deputy Director General Sugato Sen told PTI. It’s been two consecutive months where we saw the decline in passenger car sales, latest it fell 4.2 percent in February, lowering the overall growth outlook for the year to end-March. As an aftermath of the announcement most of the automobile manufacturers have already started revising the prices of all their models. This announcement is expected to give a push to the used cars segment as more people are likely to get inclined towards a used car. This will help buy the choice of their car by paying fewer price. If you are looking ahead to buy a used car than paying a visit to Shriram Automall will certainly be helpful as the company offers the widest range of used cars, SUVs & taxis etc. at competitive price. The company started its voyage in the year 2011 & since then there is no looking back. Today Shriram Automall ranks as the No.1 platform for buying & selling used vehicles & equipment in India through its Physical & Online Bidding, Private Treaty & OneStop Platform. It offers the widest line up of used assets under a single roof with its process certified by ISO & CRISIL standards. Within a short span of only four years the company has conducted over has organized 21,000+ bidding events, serving over 3,00,000 satisfied customers resulting in generating over 4,50,000 transactions. The company has embraced 2016 on a winning spree as it enters into Limca Book of Records by creating two National Records. The company has conducted highest nos. of bidding events in a financial year in both Physical and Online platforms. It organized a record 2,466 Physical Bidding Events and 6,683 online bidding events all over the country for acquisition and disposal of pre-owned vehicles during the financial year 2014-15. 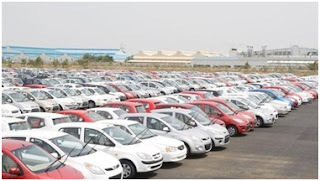 Unavailability of organized dealers in pre-owned vehicle segment in the country had kept people away from investing in the used vehicles for very long, however Shriram Automall with its transparent & safe process has completely changed this perspective as more & more people are coming to bid on their dream vehicle. Shriram Automall is India’s first and only company that deals in used vehicles & equipment industry with such an organized approach to facilitate transactions between its customers. Shriram Automall serves a platform to customers from where they can acquire vehicles of their choice through bidding; transparency in dealings is also one of the most important factors that have attracted people. The company aims to provide hassle free transactions and well planned process of deals. In the last financial year 2014-15, SAMIL has transacted around one lakh pre-owned vehicles and equipment that also includes pre-owned cars, three wheelers and two wheelers. Shriram Automall, India’s leading service provider for the exchange of used vehicles & construction equipment. The construction equipment business with Shriram Automall is witnessing a year on year increase in this business segment with excavators, loaders & backhoe being the largest in demand under the segment. Due to the economic slowdown most construction business owners now prefer to search for used construction equipment instead of going for a new one that have a major difference in price. Built on the bedrock of trust and transparency, the pre-owned construction equipment segment of Shriram Automall is riding on a positive growth track. Construction equipment do not only makes it easier to complete the project but also ensures the efficient use of labor, time and money. Shriram Automall caters to the every need with a wide variety, including hydraulic excavators, wheel loaders, loader backhoes, cranes, motor graders, crawler tractors, piling rigs, forklifts, Off-highway trucks and other mining machineries. Company has now started its voyage towards capturing the interests of international buyers for the construction equipment segment. Shriram Automall is the only company working towards organizing the highly unorganized market dedicated towards exchange of used vehicles & equipment for over 4 years. 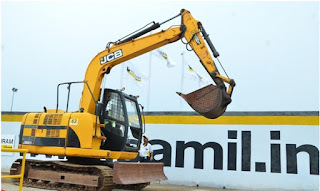 Thus, the company brought forward innovative approach for the acquisition and disposal of pre-owned vehicles and construction equipment through its unique bidding platforms especially Physical and Online Bidding along with Private Treaty and OneStop Kiosk. Its unique bidding platforms has helped all; an OEM or an individual, SAMIL’s professional services has touched the lives of many. Transparent, Efficient, Safe & Reliable; that’s how our customers regard our bidding process as. Shriram Automall has improved the purchase capacity of people in the zone by providing them with wide range of used vehicles and construction equipment at fair price through our unique physical bidding platform & easy finance options. 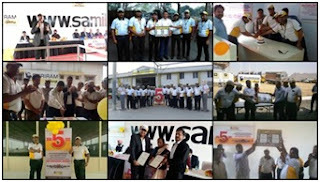 ShriramAutomall India Limited (SAMIL) India’s largest service provider for buying & selling used vehicles & equipment started its voyage by inaugurating its first Automall in Chennai on February 26, 2011. Over the time, it has successfully inaugurated 56 Automalls across India (from busiest metro cities to remote corner of villages). The company celebrated its 5th business anniversary on February 26, 2016. To make the event grand, it has conducted 46 bidding events across all zones and unveiled Limca Book of Records as it is now holding two national records for conducting highest bidding events in both platforms Physical (2,466 events) and Online (6,683 events) during the FY 2014-15. In the same, all the events received overwhelmed response from customers as it recorded 3,500+ customer registrations in all those 46 events. The company organized a mega bidding event at 46 locations from its 56 inaugurated Automalls to mark the event in a grand way. The company chose its Manesar Automall for the prime event in presence of Mr. Bhim Wadhwa, (President - All India Motor Transport Congress), Mr. Tarlochan Singh Dhillon (President – Delhi Goods Transport Association), Mr. Manjinder Pal Singh Lovely (Chairman - Delhi Goods Transport Association), Ms. Vijaya Ghose (Editor - Limca Book of Records), Mr. Karl Werner (Chief Operations Support and Development Officer - Ritchie Bros. Auctioneers), Mr. Rob McLeod (Chief Business Development Officer – Ritchie Bros. Auctioneers), and Mr. Umesh G. Revankar (MD - STFC). Shriram Automall, since its inception in 2011, has organized 21,000+ bidding events, serving over 3,00,000 satisfied customers resulting in generating over 4,50,000 transactions. The company has embraced 2016 on a winning spree as it enters into Limca Book of Records by creating two National Records. The company has conducted highest nos. of bidding events in a financial year in both Physical and Online platforms. It organized a record 2,466 Physical Bidding Events and 6,683 online bidding events all over the country for acquisition and disposal of pre-owned vehicles during the financial year 2014-15.